Thanks to the unyielding bounty of our awesome Paisley Farms CSA, we are replete with beets. As of Sunday, the Brooklyn Supper refrigerator contained three bunches of beets and two bunches of beet greens. I had tossed around several recipe ideas, such as beet jam, which seemed mysterious and interesting, or pickled beets, always a winner, but really I just wanted to enjoy unmediated beet-ness. 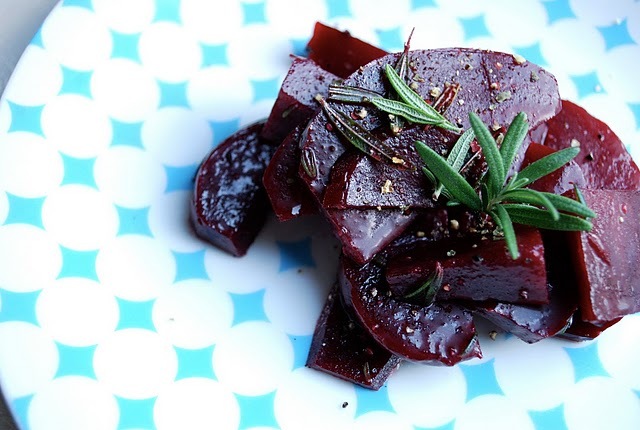 Cue marinated beets. This simple recipe showcases summer beet flavor at its peak. Go to Brooklyn Supper for recipe.